James Haskell is reportedly on the look out for a new club, since the Wasps flanker hasn't been offered a renewal of his current contract. 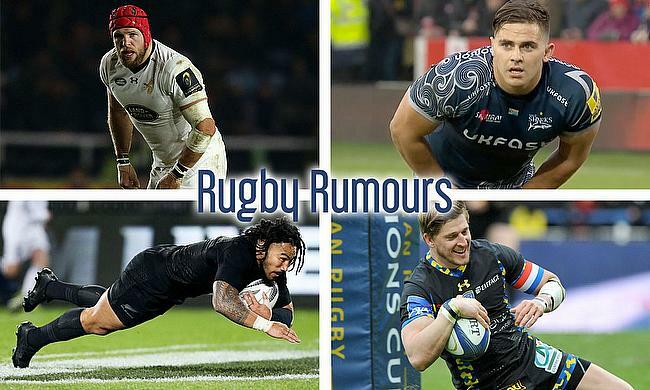 The international back-rower has been linked with many Premiership sides including Gloucester and Northampton Saints, aswell as Glasgow Warriors. Rohan Janse van Rensburg has made big impression in his short time with Sale Sharks, with three tries in eight appearances to date. He joined Sale on a short-term deal, and is out of contract with the Lions at the end of their season Super Rugby... Sale and Gloucester are battling for his future services. Clermont Auvergne winger David Strettle is said to be on his way back to Saracens, after also being linked to Championship side Bristol. The 34-year-old England international is out of contract at the end of the season and considering offers to move back to the UK. World Cup Winner Ma'a Nonu's Toulon contract is in out at the end of the season and French newspapers have reported there to be a lack of desire in extending it. A couple of rival Top 14 sides were quick to through their hat in the ring for the 35 year-old's signature, they include Toulouse, Racing 92 and Montpellier.